Senate Majority Leader Trent Lott says the Judiciary Committee planned a hearing the following week into the government's controversial seizure of Elian on April 22. 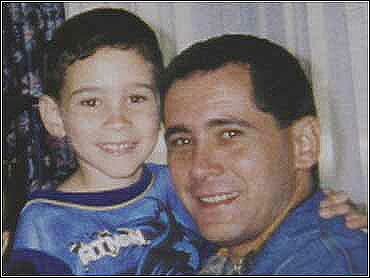 Lott suggested that Elian's father, Juan Miguel Gonzalez, might be called to testify. "Congress has the duty and responsibility to make a determination as to when INS or any governmental agency will put into play circumstances which could lead to deadly force," Specter said. Republicans, and a handful of Democrats aligned with those seeking to block Elian's return to Cuba, stepped up their criticism for what they see as the Justice Department's strong-arm tactics. The Senate Foreign Relations Committee chairman, Sen. Jesse Helms, R-N.C., decried "the grotesque image" of the seizure at gunpoint. And Rep. Dan Burton, R-Ind., chairman of the House Government Reform Committee, called Reno's decision "reckless." The administration in turn accused Republicans of playing politics, with White House spokesman Joe Lockhart denouncing "wild statements" by House Majority Whip Tom DeLay, R-Texas, and others. DeLay, speaking in Montana two days later, referred to the agents who raided the house as "jackbooted thugs." President Clinton defended his attorney general over the raid. At a White House meeting on hate crimes, Mr. Clinton commended Reno for the early morning operation. The president says she and the other law enforcement officials involved had "a very, very difficult job to do, with no easy choices." Political figures from across the country are weighing in with reaction to the seizure of Elian Gonzalez from his Miami relatives. Vice President Al Gore issued a statement in which he said he believed the issue should have been handled through a family court and with the family coming together. The Democratic presidential hopeful commended the people of Miami, who he said acted in a calm and lawful way immediately after the raid. There were at least 80 arrests in Miami's Little Havana that day on charges ranging from disorderly conduct to inciting a riot. In his statement, Gore called on all Americans, no matter what their position on the Elian issue, to obey the rule of law. Gore's opponent, Texas Governor George W. Bush, attacked the Clinton Administration for the raid and said he is saddened and troubled that the administration was unable to negotiate a voluntary custody transfer. Bush said custody disputes should be resolved in the calm of a courtroom, not "in the terror of middle-of-the-night raids". Florida Governor Jeb Bush, the Texas governor's brother, said he was "deeply disappointed and heartbroken" at the use of force to retrieve Elian. "Elian's reunion with his father should not have happened this way," Jeb Bush said in Tallahassee. "This matter could have been resolved without using force to extract Elian from the home of his Miami relatives." "To treat his as if it were a hostage situation, I think shows disrespect for people who love that child," said Jeb Bush, who also indicated he felt an agreement was close before the raid occurred. More than 20 armed government agents took the boy, who was frightened but unhurt, and flew him to the Washington, D.C. area where he was reunited with his father, Juan Miguel Gonzalez. Attorney General Janet Reno gave the go-ahead for the raid after a breakdown in overnight negotiations aimed at achieving a peaceful transfer of the boy. She said the move became necessary because the Miami relatives "kept moving the goal posts and raising the hurdles" at every step in the talks. Miami's Mayor Joe Carollo called it one of the most shameful days he has ever seen. "They came in with machine guns, they came in gassing people. This is America. This is not Cuba, this is not Hitler's old Germany. This boy did not have to be taken out in such a shameful way." Referring to the last-ditch talks aimed at achieving a peaceful turnover of Elian, Alex Penelas, mayor of Miami-Dade County, said Attorney General Reno "should have gone the extra mile, should have waited for the last moment to do this." Republican Congressman Lincoln-Diaz-Balart of Florida called the raid "an Orwellian monstrosity". New York Congressman Jose Serrano said the decision to reunite Elian with his dad is the beginning of the healing process for the boy and his family. "While no one ever wanted it to end this way, it was pretty clear that the Justice Department had no choice," Serrano said. He added that this is the time for Elian to recover from all that he has been through over the last several months. In Union City, New Jersey, home of the second-largest Cuban-American community in the U.S., Rep. Robert Menendez, D-NJ, decried what he called a despicable use of force. "To take a child out at gunpoint in the middle of the night, awakened in his sleep, with masks on, reminds me of the tactics of Castro's dictatorship," said Menendez, a frequent critic of the Cuban leader who had been involved in negotiations to peacefully reunite Elian with his father. New Hampshire Senator Judd Gregg said he thinks the Clinton Administration failed miserably in this case and that there had to be a better way to resolve the matter. But Vermont's Sen. Patrick Leahy took the opposite viewthat Reno and Elian's father, Juan Miguel Gonzalez, showed extraordinary patience in waiting this long. "I am glad for the reunion of Elian with his father, and I am relieved that Elian is out of the powderkeg environment that was building in Miami," said Leahy.